Columbia Pictures has just released the international posters of its upcoming romantic drama “The Vow” starring Channing Tatum and Rachel McAdams. "The Vow” is the real-life story of a newlywed New Mexico couple who were struck by tragedy shortly after their marriage. A car crash puts the wife (McAdams) in a coma, where she is cared for by her devoted husband (Tatum). When she comes to, without any memory of her husband or their marriage, the husband must woo her and ultimately win her heart once again. Directed by Michael Sucsy, “The Vow” is written by Abby Kohn & Marc Silverstein and Jason Katims, with story by Stuart Sender. The film also stars Sam Neill, Scott Speedman and Jessica Lange. 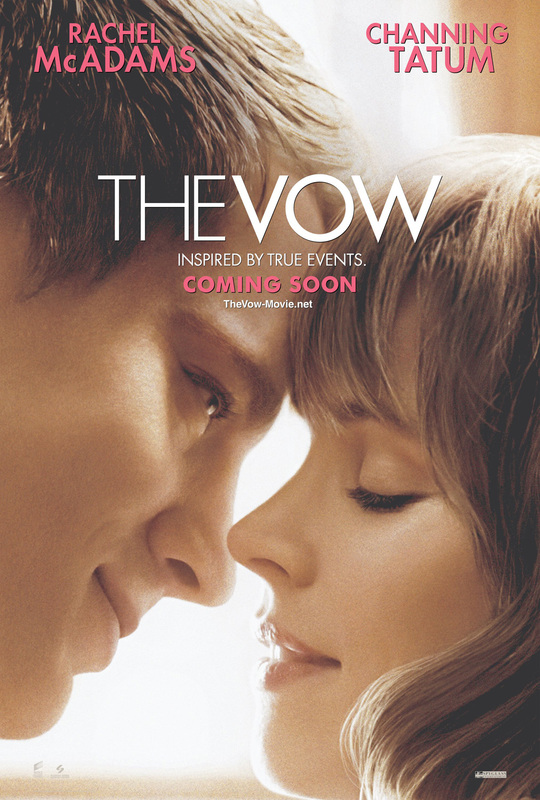 Opening across the Philippines in February 2012, “The Vow” is distributed by Columbia Pictures, local office of Sony Pictures Releasing International. Visit www.columbiapictures.com.ph to see the latest trailers, get free downloads and play free movie games.